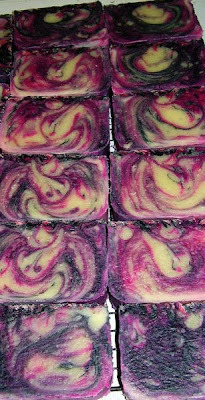 Oregon Trail Soaps is a great place to find a red that will actually STAY red in you soap. It's amazing stuff! 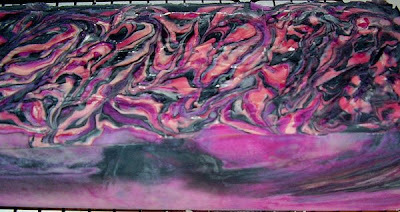 ~Love the color combo, nice swirls! thank for the tip on where to get a better red. I have used an oxide one from southern soapers and it changed some as well. I'm "enchanted" by this soap. The colors are so vibrant. I love your swirl technique. It turned out great even though it's not exactly how you had pictured it! It definitely gives off an enchanting vibe!